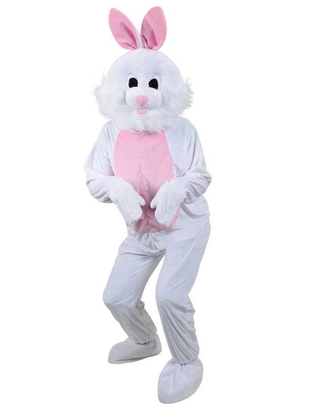 Our Easter Bunny Mascot costume is a perfect costume for any big event or party and is a fun costume for Easter. Costume consists of a full body zip up white and pink faux fur jumpsuit, attached rabbit feet with openings for your hands, cute rabbit tail and matching attached shoes covers. 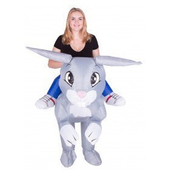 To complete this cuddly costume an oversized character mascot head with Bunny Rabbit features is also included. 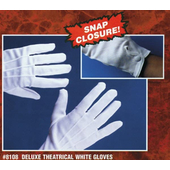 White Gloves sold separately. Super fast delivery! 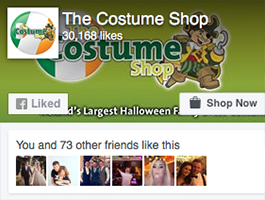 The costume was great quality and the kids at our school event loved it. I will be ordering from here again. Very impressed.